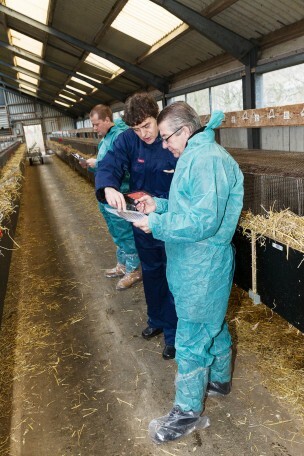 Several months after the implementation of the science-based certification programme WelFur started, already 450 mink and fox farms had the first ever WelFur assessment visit. The number is hardly a surprise as 77 % of fur breeders in Europe rushed to sign for at least one visit in 2017 as soon as the implementation was announced. Farmer’s openness to the idea of a certification programme measuring and documenting animal welfare on fur farms is significant. European breeders know that animal welfare on farms is a central part of the sustainable agricultural development of the sector. Animal welfare friendly products are also gaining traction as a compulsory requirement from customers, who prefer a more sustainable fashion style. 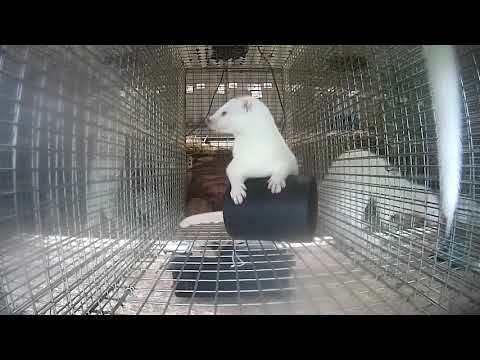 Following the methodology of the European Commission’s Welfare Quality Project, WelFur measures animal-based indicators and makes an objective documentation of animal welfare standards on both mink and fox farms. Besides from that, the science-based scheme serves as a tool for farmers who want to improve the animal welfare by providing them with support from specially trained WelFur advisors. This gives space for boosting areas in the farms where animal welfare can be improved under the supervision of animal experts. ‘’We finally have a system that scientifically measures animal welfare based on facts, and not human perceptions about it. There is no better existing way to determine the well being of animals on farms than using science. Likewise, WelFur offers a reliable traceability system for customers. After all – they have the right to make an informed choice when they buy products,’’ says the new chairman of Fur Europe John Papsø. Customers are becoming more vocal when expressing concerns about traceability and the available information about the condition on farms. According to the latest survey by the European Commission from 2016 mapping the attitudes of Europeans towards animal welfare, almost two thirds of the responders say they would like to have more clarity on that. To address their demands, WelFur will also serve as a labelling scheme for customers who will enjoy a WelFur label guaranteeing animal welfare standards on European farms. This will come into effect when from 2020 on the auction houses will start selling only skins sourced from European WelFur certified farms. Tara Norton, the Managing Director of the consulting group Business for Social Responsibility (BSR), works with the world’s top fashion brands. She says the traceability issue is very important for brands. During the next three years WelFur is aiming to certify all 4000 European farms. Farmers will have to undergo three visits during the different production periods conducted by independent third party assessors from Baltic Control to obtain the certificate. Mandatory assessments once a year are also required to keep it. The certification process continues during the second production period in another 11 European countries where assessments visits are taking place.